A common question for those in the field of health care in New York, is how much does a CNA make in NY? The work salary of a CNA in NY varies depending on the state from where they are working. The average hourly rate is about $12.22 which could some up to $25, 420 per year. The biggest employer for nursing assistants are the nursing care facilities which gives an average rate of $11.76 per hour. CNA’s who work in hospitals get paid with an hourly average rate of $13.12. In community care facilities, CNAs get $11.31 per hour. Among the various settings, the scientific research establishments are the ones who pay higher rates with an average of $17.75 per hour. The federal government gives a payment average of $17.23 per hour and the colleges or universities give an hourly rate of $15.48. Depending on several factors like the cost of living as well as the local minimum wages, the salary rate of CNA’s are affected. New York is regarded as the second state having the highest average rate of $15.30 per hour because urban areas like this have higher standard of living. The employers as well have an impact on the salary wage in New York. The big companies prefer to hire CNA’s having more work experience. In this connection, they offer high rates because of the skills and experience that the CNA’s possess because they do not want to compromise the quality of care that the certified nursing assistants will be providing to the clients. The average annual salary wage of the nursing assistants in New York can range between $21,000 to $41,000. Presently, the hourly wage ranges from $10 to $19.50 or even more. The ideal salary wage for the certified nursing assistants in New York is about $34,000 and this is its standard rate per year. New York has already recruited approximately 100, 410 certified nursing assistants having a median hourly rate of $15.15. Below are different cities located in New York and their corresponding average annual income. Listed below are the various settings where the certified nursing assistants render their care and it also includes their average annual income depending on the professional background. Certified nursing assistants are members of the health care team whose work is being supervised by the registered nurses or LVN’s. As part of their duties, they render nursing care to the clients, residents, or customers in varied health care settings and these include providing assistance with bathing or hygiene, taking of vital signs, and helping with ROM exercises. In the United States, New York is regarded as a rising state that holds a lot of job offers for the certified nursing assistants. It is essential to have the skills and good work experience in order to get higher hourly rate and this can be beneficial for the CNA’s. 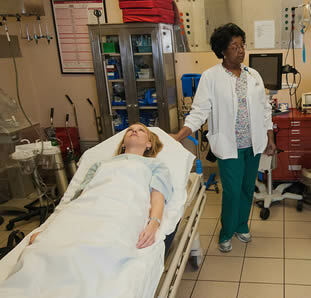 Visit this page for more information about CNA classes in NY listed by city.